What do you do when your doctor recommends medication? In this month’s ASAT feature, Megan Atthowe, RN, MSN, BCBA, offers insight on a variety of approaches parents can take when medication is recommended for children exhibiting aggressive behaviors. To learn more about ASAT, please visit their website at www.asatonline.org. You can also sign up for ASAT’s free newsletter, Science in Autism Treatment, and like them on Facebook! My son with autism has developed aggressive behavior, and his doctor is considering whether medication could help. What can I do to prepare for this conversation? First, you should know that there is no medication that specifically treats autism. Medications approved by the United States Food and Drug Administration (FDA) for other conditions can be useful only to lessen symptoms. That said, off-label use of pharmaceuticals is by no means unique to autism and is common practice for many health conditions. So while research on the use of particular psychotropic medications in the autistic population is growing, our body of knowledge is still limited. In addition, medications can and do affect every individual differently, and children can respond differently as they develop, so it is likely to take time to find the best medication at the appropriate dose. Medication management, in other words, is a complex and an ongoing process and one that is highly individualized. It is a good idea, then, to be prepared with the right information before every visit to your health care provider. Do you know how often the aggression actually occurs? Bringing data like this to the visit can be very helpful. You may want to ask your son’s teachers to share any information they have about the aggression with your health care provider, too. (They would need your consent to talk with him/her or to share any confidential information such as behavior data.) If you have not been keeping track of the aggression, now is a good time to start, even if there are only a few days until your visit. An easy way to do this is to use a calendar. Record specifics about when the aggression happens, what the behavior is like, how long it lasts, and whether you have noticed any recent changes. It is difficult for anyone to recall these details accurately, especially if the behaviors happen frequently, so writing them down will help you to share the most meaningful information you can with your health care provider. If your son’s school team is not already collecting data, perhaps they should start as well. In addition to information about the current levels of the behavior, be prepared to describe how the school and your family are addressing the behavior and how long that plan has been in place. 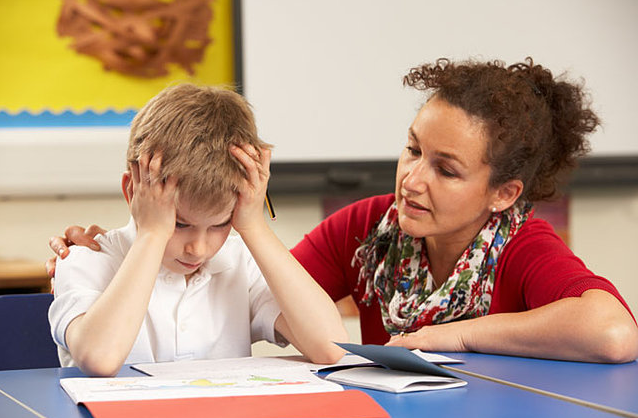 Has your son’s team considered or tried Applied Behavior Analysis (ABA) to treat the behavior? Research supports ABA as an effective intervention for decreasing problem behaviors such as aggression as well as for teaching children with autism new skills. It is important to be sure that a qualified behavior analyst is supervising any ABA interventions, as they must be implemented correctly to be effective. Your health care provider may be able to refer you to a local ABA provider, or you can find a list of board certified behavior analysts at the Behavior Analysis Certification Board’s website. Before your visit, prepare a list of the names and doses of any medications your son takes, as well as any over-the-counter medications, vitamins, or other supplements. If your son receives other therapies, share what they are with your health care provider. He or she will want to ensure that any new medication is safe to take and will not interact with other medications. If you and your health care provider decide to start your son on a medication, decide what the goal is. How will you know when the medication has been effective? How will you know if it is ineffective? Be specific and write the goal down. Schedule a date when you will check in with your health care provider on your son’s progress. He or she may have specific suggestions about what type of data to keep. Finally, there are some important questions that you should have the answers to before you leave. Make sure that you ask any questions you have—a responsible health care provider will want to know that you understand how to use the new medication correctly. If you think of questions later, do not hesitate to call and ask your physician, nurse, or pharmacist. When and how should I give it to my son, and how much do I give? Should I give this medication with food? What effects should I expect to see? What side effects are serious, and what should I do if I notice them? Will side effects lessen over time? Is there anything I should avoid giving my son while he is on this medication? If I decide that I would like to stop giving him the medication, what should I do? Please note that there is information about research related to medications elsewhere on the ASAT website. Megan Atthowe, MSN, RN, BCBA, LBA, is a registered nurse and behavior analyst who has worked with people with autism and other special needs in educational, home, and healthcare settings for over 15 years. Currently she consults to educational teams who serve students with autism in public schools. A diagnosis of autism can be very challenging for a child and for his or her family. But one of the most difficult aspects of autism is that it is not clear cut what behaviors are related to autism, and what behaviors are related to just being a kid. Every child tantrums sometimes. Every child talks back sometimes. Every child engages in dangerous behavior sometimes. When I look back on my own childhood, I think of several behaviors I exhibited: in third grade I cut my own hair while my teacher’s back was turned, in fourth grade I got mad at my brother and threw an alarm clock at him, and in seventh grade I loved Agatha Christie books so much that I frequently refused to go outside and sat in my room reading by myself for hours on end. If I had autism, any one of these behaviors may have been pathologized instead of being considered as just a part of growing up. How often and for how long does your learner engage in the behavior? How different is this behavior from the learner’s same-age peers? For example, does your three year old cry for a couple minutes when told that she can’t have her favorite toy, or does she cry for two hours and refuse to engage with any other toys for the rest of the day? How is this behavior interfering with the learner’s ability to learn? How is this behavior interfering with the learner’s ability to engage with peers and family members? Is the behavior related to a skill? For example, pacing the room and flapping your arms is typically not related to a skill, but building Lego models can be related to a skill. If it is related to a skill, think about ways to provide opportunities for expanding that skill. The answers to these questions should be able to inform the decisions that you make in intervening with behaviors. And we should remember that above all else, kids with autism are still just kids. As a BCBA, I am often asked to address problematic behaviors. One of the most common errors I see in addressing such behaviors is that the adults working with child have not identified the function (or purpose) of the problematic behavior. Decades of research have shown that there are only four functions for any behavior: attention, escape/avoidance, access to a tangible, and automatic reinforcement (or something that just feels good internally, but cannot be observed by outsiders). The therapist tells Lisa it’s time to practice tying shoes. Lisa starts biting her own hand. The therapist look shocked and calls in Lisa’s mother, who rubs her back lightly while Lisa ties her shoes then gives her a lot of verbal praise. This is likely an example of a behavior that functions for attention, because the mother comes in and provides both verbal and physical attention while she ties her shoes. Or it could be an example of a behavior that functions for escape or avoidance, since Lisa did not have to tie her shoes immediately once she began biting her hand. The therapist tells Lisa it’s time to practice tying shoes. Lisa starts biting her own hand. The therapist gently pushes Lisa’s hand down and then introduces a new task. This is an example of a behavior that functions as escape because Lisa does not have to tie her shoes once she begins biting her hand. The therapist tells Lisa it’s time to practice tying shoes. Lisa starts biting her own hand. The therapist says, “Oh, don’t stress, we’ll take a sensory break,” and gives Lisa a ball to squeeze. This is an example of a behavior maintained by tangible reinforcement. When Lisa began biting her hand she was immediately given access to a preferred item. You’ll notice that I left out the automatic reinforcement. This is intentional because often, with a diagnosis of Autism Spectrum Disorder, people assume that a behavior is automatically reinforced instead of exploring these three potential functions described above. One way to recognize if a behavior is automatically reinforced is to note if the behavior happens when the child is alone and/or when no demands have been placed on the child. If it’s only happening around other people or when demands are placed, then it is highly unlikely that the behavior is automatically reinforced. For now, we’ll save automatic reinforcement for another blog post. Identifying which of these functions is maintaining a problem behavior is essential to putting in an effective intervention. But how do you go about doing this? The first thing you should do is assess! You can do an informal assessment, such as using the Functional Assessment Screening Tool (FAST) which is comprised of 16 questions that can help you quickly determine the function. If this does not provide conclusive results, you can have a BCBA do a formal functional assessment. Once you have identified the function of the behavior, you can change the environment so that not only does the child no longer receive that reinforcement for a problematic behavior, but there are appropriate replacement behaviors they can engage in to access that reinforcement. For more on that, you can look back at the Importance of Replacement Behaviors. 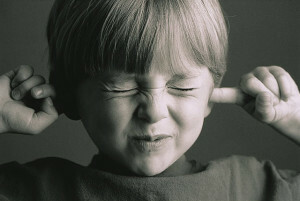 It may be difficult at first to think in terms of “function of behavior,” rather than assigning a reason for the behavior that is based on the child’s diagnosis or based on something happening internally inside the child’s brain that we can’t see (such as, “she’s just frustrated so she’s biting her hand,” or “she doesn’t know how to control herself”). However, once you try it out and experience some success with addressing the true function of behavior, you’ll likely see the beauty of a simple explanation for why we behave. 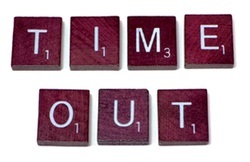 Time-out can be an effective procedure for addressing behaviors that do not function for escape. However, often it can be difficult to implement, and in some schools is not even allowed. There are valid concerns related to time-out. For example, you may not have the opportunity to supervise a child in a separate location for time-out, or you might want to keep them in the same place so they don’t miss a lesson during class. The time-out ribbon may be an excellent solution for just those types of instances. When Foxx and Shapiro (1978) first wrote about the time-out ribbon, they referred to it as “nonexclusionary time-out,” meaning the individual does not have to be excluded from an environment or activity to be “in time-out.” In their initial study, all students wore a ribbon on their wrist. When the individual has the time-out ribbon on, they have access to socially-mediated reinforcement. If the time-out ribbon is removed, they do not have access to that reinforcement. (Foxx & Shapiro also note that it does not have to be a ribbon, but could be anything that is easy to wear and easy to remove.) However, by again demonstrating appropriate behavior, the ribbon can be placed again on the individual’s wrist. 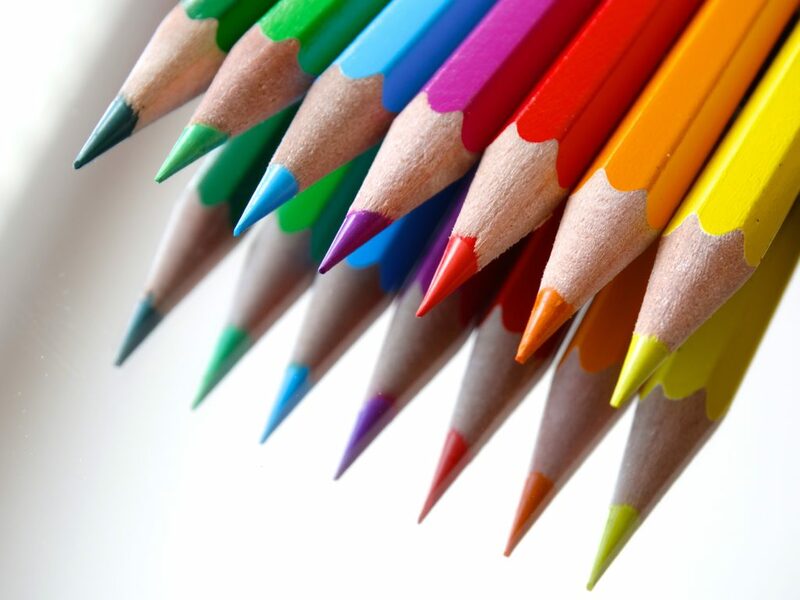 In a time where we often focus on new, high tech solutions, such as the use of iPads or SmartBoards to introduce behavior change procedures, it’s important to draw attention to low-tech solutions that are easy to implement. Another aspect of the time-out ribbon that is attractive for our particular population is that it provides a clear visual indication that reinforcement is available. A possible drawback is that, in a classroom setting, if the ribbon is removed, the student could continue to engage in disruptive behavior. Foxx and Shapiro emphasize the need to pair the ribbon with social reinforcement when first introducing it to the individual. This increases the likelihood that the individual will correct their behavior to earn the ribbon back. Foxx & Shapiro demonstrated the effectiveness of the time-out ribbon with five boys with developmental disabilities. Since then, two more studies have demonstrated the efficacy of the procedure. We know that time-out can be highly effective from a wealth of research over recent decades, but if it’s not available, you should definitely consider the possible use of the time-out ribbon. Alberto, P.A., Heflin, L.J., & Andrews, D. (2002). Use of the timeout ribbon procedure during community-based instruction. Behavior Modification, 26(2), 297-311. Foxx, R.M. & Shapiro, S.T. (1978). The timeout ribbon: A nonexclusionary timeout procedure. Journal of Applied Behavior Analysis. 11(1), 125-136. Laraway, S., Snycerski, S., Michael, J. & Poling, A. (2001). The abative effect: A new term to describe the action of antecedents that reduce operant responding. The Analysis of Verbal Behavior, 18, 101-104. Recently I began working with a family who has a six year old boy with autism named Austin (all names and identifying details have been changed to protect confidentiality). His mother was describing Austin’s behaviors when he couldn’t have something he wanted. She told me about him hitting his parents and younger brother, sweeping all materials off tables and shelves, and throwing himself on the floor. She was worried that he might hurt himself or hurt someone else. She told me that when he started this behavior, they would say, “Stop hitting.” They had been doing this for months, but his behavior had not improved. Later that week, she sent me a video of Austin having one of his “mega-tantrums.” It was exactly as she described, though there was one important detail she had missed. Austin consistently sought out eye contact and physical contact with both of his parents. If they were moving around to pick up an item, he would move his body and face to maintain eye contact. If one of them sat down, he would quickly clamber into their lap while screaming and pounding their arms or the furniture. If one parent walked out of the room, he would immediately run to the other parent. This behavior was clearly maintained by attention. In order to decrease the behavior, his parents had the very difficult task of ignoring it ahead of them. Once Austin starts hitting or screaming, he does not receive any attention. This includes eye contact, physical contact, and verbal prompts/reminders from his parents. The parents can start one of the motivating activities in another location. For this family, the parents sat with the younger brother at the dining room table and the mother read a book out loud. As I had forewarned the parents, Austin’s behavior initially intensified as he realized he was getting zero attention. He took a box of toys, turned it upside down, and dumped it all over the floor. His mother kept reading to his brother. He ran over to his father and hit his legs while screaming, the father got up and walked away. Then, Austin did something he had never done before. He climbed up onto the table and started walking around on the edge of it. His mother looked at me and said, “How do I avoid giving him attention for that?” This is when it’s important to consider high-quality attention and low-quality attention. In order to keep him safe, his mother needed to be more proximal. She walked near where he was on the table, but did not pick him up, did not make eye contact, and did not speak to him. (I let her know that if she felt he was very unsafe, she could pick him up and remove him from the table but quickly letting him go, and withholding eye contact and verbal interaction.) She stayed nearby to catch him if he fell, but she did not provide attention for this dangerous behavior. Her proximity (or if she had chosen to pick him up off the table without eye contact or verbal interaction) constitutes low-quality attention. High-quality attention is only saved for appropriate behavior. Think about what high-quality attention means for a young child: big facial expressions, expressive tones of voice, big movements, and physical contact. Prior to our intervention, Austin was getting all of those types of high-quality attention for inappropriate behaviors. But now he wasn’t getting any of that type of attention. However, Austin had been engaging in inappropriate behaviors for attention for 2-3 years now, so changing this behavior takes a little time. For our first day of the intervention, Austin continued to yell and throw items for 40 minutes before he finally went over to where his mom was sitting and reading aloud the story (actually, the third story in a row). When he was near and quiet, his mom started reading in a wonderfully expressive tone, adding voices to the characters. Austin came closer. When a funny part of the story happened, Austin laughed. And then Austin’s mother encouraged him and his brother to imitate the characters in another part of the story. After he imitated the characters, he sat next to his mom and she put her arm around him. All of these high-quality forms of attention were now being given for appropriate interaction. Sometimes you have to provide some attention in order to keep a child safe, but think to yourself what is high-quality attention for your learner: it may be tickles, silly faces, expressive speaking, or physical contact. Reserve those things for appropriate behaviors. A few final notes about this intervention: (1) Austin’s inappropriate behaviors will probably still continue for a little bit longer. I’m certain that he will test it out a few more times, and his parents will have to stick to the intervention in order to completely get rid of what they had deemed as “mega-tantrums”; (2) This intervention only works for behaviors maintained by attention. If you’re uncertain about the function of a behavior, confer with a BCBA or an ABA provider for help; and (3) If you’re not certain you can follow through if the behavior persists for a long time (such as 40 minutes in Austin’s case) then give in the first time the learner asks. For more information on this, look back at my tip on Choosing When to Battle. We’re thrilled to bring you this exclusive article written by Steve Levinson, PhD, Inventor of the incredible MotivAider. We’re all familiar with the incredible versatility of the MotivAider in facilitating behavior changes and here, Dr. Levinson explains how behavior modification works. We’re so grateful to Dr. Levinson for this fantastic article. You can find more exclusive articles from leading experts in the field in our new catalog. If you’re a parent or a teacher who’s trying to change a child’s behavior, you’re probably frustrated. It’s not easy to change a child’s behavior. But before you blame the child, consider this: It’s not all that easy to change your own behavior either! Even when you have a good reason to make a particular change, and you’re really serious about doing it, changing your own behavior is rarely a snap. Why it’s so hard to change behavior So, what makes it so hard to change behavior? If you think it’s simply a matter of motivation, think again. Motivation is certainly important, but many behavior change attempts fail not because of insufficient motivation. They fail because of insufficient focus. You can’t change your own behavior unless you can keep your attention focused on making the desired change. While it’s easy to do things the old way because the old way is automatic, doing things the new way requires focus. Unfortunately, whether you’re a parent, a teacher or a child, it’s not easy to stay focused. That’s because, amazingly, the human mind has no built-in mechanism to keep our attention focused on making the changes we want to make. So it’s really no wonder that our good intentions keep getting lost in the shuffle. If you’re not convinced that (1) focus is an essential ingredient in the recipe for behavior change and (2) we’re not well-equipped to stay focused on the changes we want to make, here’s an example that should help. Suppose you have a bad habit of slouching. You realize that slouching is not only bad for your back, it’s bad for your image. So you promise yourself that from now on that you’ll sit up straight and stand up tall. How hard could that be? Yet soon—very soon—after setting out to improve your posture, you’re right back to slouching. So, what happened? Did you lose your motivation? No. You lost your focus! You failed to make a change you genuinely wanted to make because you simply couldn’t keep your attention focused on making it.Yes, it’s hard to change behavior because changing behavior requires focus, and none of us—not parents, not teachers and especially not children—are particularly well-equipped to stay focused. So what can we do to stay more focused on the positive changes we want to make? And what can we do to help our children or our students stay focused on the positive changes they want to make? Prompting: A simple way to facilitate behavior change One solution is to use “prompting.” Prompting is a simple behavior change method that uses frequently repeated signals to keep your attention focused on making a desired change. With me reminding you frequently, I guarantee that you’ll stay focused on improving your posture. What’s more, soon I’ll be able to stop whispering because just feeling the tap on your shoulder will be all it takes to send you the associated message, “Yes, I’m no slouch.” Sometimes when you feel the tap, you’ll find yourself slouching, and you’ll straighten up right away. Other times when you feel the tap, you’ll notice that your posture is already fine. It doesn’t matter whether you catch yourself slouching or you catch yourself with perfect posture. Either way, you’ll be making progress in replacing your bad posture habit with a good posture habit. Before long, you’ll automatically be sitting up straight and standing up tall. Fortunately, there’s a more practical and even more effective way to use prompting. Instead of relying on a dedicated person to follow you around and keep tapping you on the shoulder, all you really need to implement basic prompting is a timer or other mechanical or electronic means that’s capable of sending you frequent private signals automatically. The process is simple. First, you devise a brief personal message that urges you to make the change you want to make. Then, you associate the personal message with the signal—the same way we associated “You’re no slouch” with a tap on the shoulder in the example above. The result is that whenever you receive the signal, you’ll focus your attention on making the change you want to make. And by making certain that you receive signals often enough, you’ll stay focused. Prompting isn’t magic, but it can do amazing things. What’s more, because it allows us to overcome an obstacle that all of us—parents, teachers and children—share, it’s remarkably versatile. The same simple method that can be used to help a young child do a better job of staying on task can also be used to help parents and teachers consistently stick to an effective technique they forget to use when they’re busy or frustrated. The same simple method that can be used to help a child make a constructive keystone change in her social behavior can also be used to help parents and teachers stay cool, calm, collected, and constructive when interacting with a defiant child.